Mr. Prasad is an Engineering Graduate with MBA with over 30 years of rich experience in cross-functional areas, including IT Strategy & Policy Planning, IT Project Management, Systems Design and Implementation, SAP Delivery Practice with reputed group companies & leading IT consulting / service companies. Currently engaged in the role of Director-corporate strategy, Business excellence & Group CIO for Welspun group of companies having a Global responsibility of Asia, Europe ,US (Five locations including two manufacturing units), Mexico (Manufacturing location) and Portugal (Manufacturing location) countries for IT strategy Planning and Implementation. Responsible for Creating an IT Strategy and implementing the same including creation of Primary and secondary Data centre’s for BCP and Disaster recovery, IT security solutions, Rolling out SAP, APO,BIW,KM,CRM solutions in all the countries and their governance for maximizing the benefits. Additionally, He is also, responsible for the Corporate Strategy and Business Excellence function for the various companies of the group to bring Business transformation of the company with the help of Creation of Shared services, Programme and portfolio management capabilities, Process improvement & automation and corporate governance within the group companies. He uses his personal experience in setting up and running PMOs, as well as managing programs and project portfolios, to help the organization work out the quickest and easiest path to success. 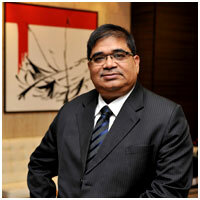 His career path has moved in organizations like Tata Steel, PwC, HCL, Ispat, Ranbaxy and now in Welspun Group in India.